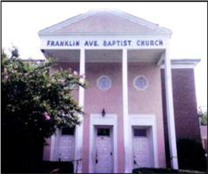 In the 1940's, 50's, and 60's Franklin Avenue Baptist Church was an all-white Southern Baptist Church. In the late 1970's there was a "white flight" in the neighborhood; whites moved out and blacks moved in. 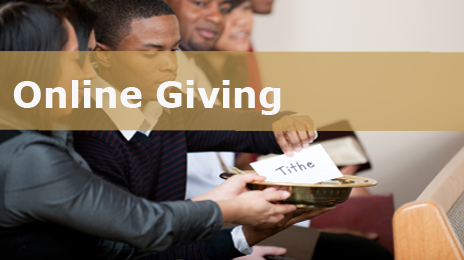 The declining membership with their hearts still dedicated to missions gave the Franklin Avenue sanctuary and educational building to the Baptist Association of Greater New Orleans so that it can be used for the people in the community. 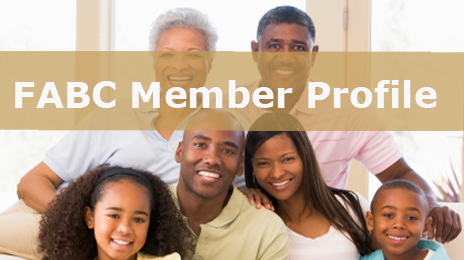 Since that time FABC has been a predominantly black church. 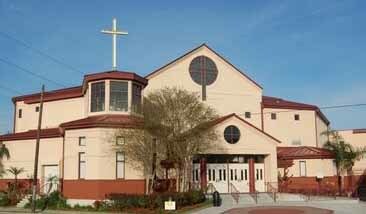 In 1980 Franklin Avenue became a mission of Gentilly Baptist Church where Dr. Daniel O'Reagan was the pastor. From 1980 to the spring of 1986 Bill Weathers, John Henry Thomas, and Robert Loggins served as pastors of the Franklin Avenue Baptist mission. The original FABC Worship Location before the construction of our current sanctuary. In September of 1986 the small but faithful Franklin Avenue membership elected Fred Luter, Jr. as their pastor. This young street preacher from the Lower Ninth Ward was humbled and honored to serve this church as his first pastorate. Knowing that the congregation had been through some difficult years, this first time pastor committed himself to encourage the people by preaching, teaching, and living the Word of God! The blessings in the next few years were truly the hand and the grace of God! On August 29, 2005 Hurricane Katrina flooded our church with nine feet of water. In January of 2006 we started having worship services in New Orleans, Baton Rouge, and Houston. Pastor Luter, while living in Birmingham traveled to these three cities as well as across the United States to minister to our displaced members. Franklin Avenue Baptist Church was flooded with 10 feets of water during Hurricane Katrina in 2005. In April 2008 the members of Franklin Avenue moved back into our renovated sanctuary with two worship services attended by over 4,000 members and guest! We are now one church in three cities with Pastor Sam Young leading our Houston church and Pastor Manuel Pigee leading our Baton Rouge church. Because of all of our displaced members our New Orleans services could be seen live over the internet every Sunday morning. With all that we have gone through our mission remains the same which is "To Exalt the Savior", "Equip the Saints", and "Evangelize the Sinners"!